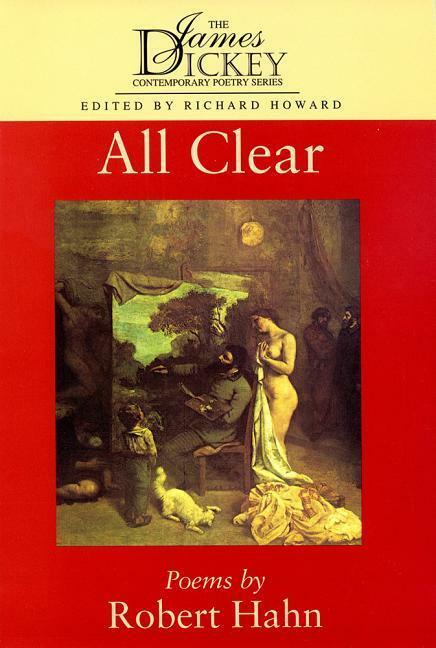 Although All Clear will serve as an introduction to Robert Hahn for many readers, it is the work of an accomplished poet who has been perfecting his craft for a quarter of a century. With this collection Hahn offers poems that range from sestinas to sharp-edged lyrics, from the meditative drift of "Attending" to the intricate precision of "False Dawn". The settings in All Clear shift from the pastoral to the urban, from Wellfleet Harbor to a Paris street, from an operating room to Chavez Ravine. The figures in the book, including John Huston, Bix Beiderbecke, and J. M. S. Turner, are often artists who altered perceptions of reality by creating their own separate worlds. Ultimately, the radiance of All Clear creates its own transforming version of the world as we find it.